Have a listen to the August 6, 2018 edition of No Filter on CHUO 89.1 FM. Don’t forget to check out Boyhood this Friday at Black Squirrel Books. Yamantaka//Sonic Titan is playing Asin Music Fest Showcase this Saturday! I’m back in the studio after being in Seattle for a few days! Have a listen to the July 30, 2018 edition of No Filter on CHUO 89.1 FM. Had Amanda Lowe in the studio to talk about Shout About It – The Pop Up Canada happening this Friday at Cafe Nostalgica. It is free to attend and my photography works are being shown too. The interview is on hour two around the 20-minute mark! 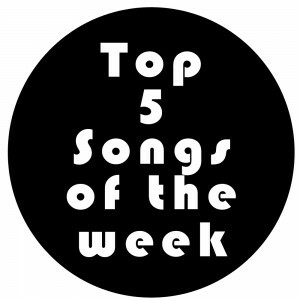 This week at #1 is the single from The Luyas. Dream of Love is taken from Human Voicing which drops this Friday. New debuts this week from Colin Stetson and Century Palm. This week at #1 is the second single from Leif Vollebekk. Into the Ether is taken from the upcoming album Twin Solitude. New debut this week is by Timber Timbre. Today! Dirty Projectors releases the second single from their 7th album simply titled “Dirty Projectors” which drops on February 24, 2017. Looks like this is Dirty Projectors at its best with their experimentation of their sounds and music. Very worldly and more David Longstreth. Considering Amber isn’t or hasn’t been featured so far from the last three songs they have dropped and focusing on her solo stuff. But still a cool funky track to listen to!! Today! Dirty Projectors releases the new music video for Little Bubble. The video explores the metaphor of the Earth itself as a fragile bubble of life in a cold, dead universe. Building on the visual language of Dirty Projectors 2012 short film Hi Custodian, it was directed by Longstreth and longtime collaborator Adam Newport-Berra.